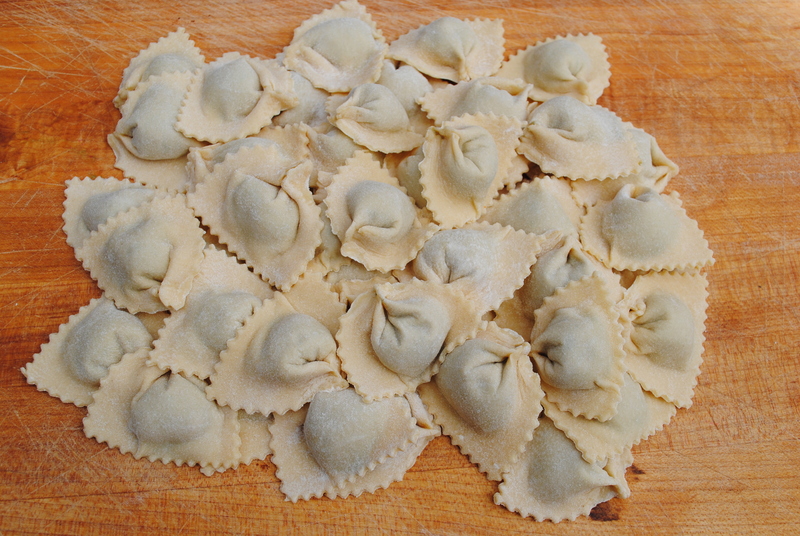 Lamb “Plin” Ravioli is a filled pasta cut and then pinched on the side. We roast a leg of lamb then grind it to make the filling. A suggestion for the sauce would have to be my interpretation of ratatouille: cubed and sautéed eggplant, bell pepper, zucchini, onion and a clove of garlic, then add a splash of white wine and then tomato sauce. Salt and pepper to taste. I like to add parsley at the end to brighten it up. Once you have the sauce finished and the lamb plin boiled in the salt water, I like to toss it all together and right before serving, place pieces of goat cheese on the top.